A spot for Malifaux thoughts from the New England area. 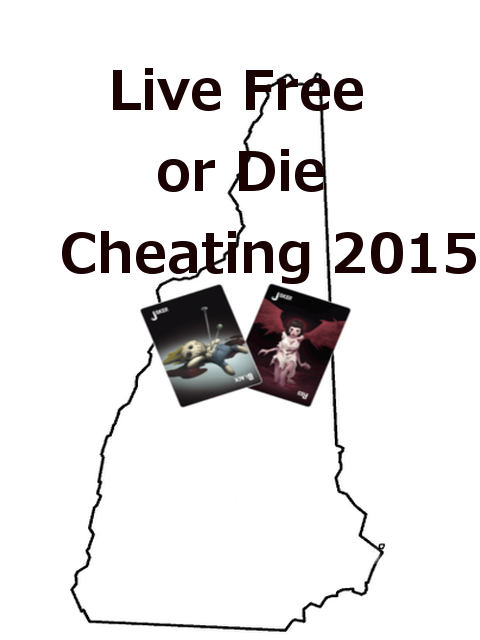 This is the 2nd annual "Live Free or Die Cheating" Malifaux event. This will be a Gaining Grounds 2015 event held on May 2nd, 2015. This year we are trying something different, as the event will be held at a private hall. Milly's Tavern, in Manchester, New Hampshire. If we can sell at least 24 tickets. Otherwise it will be held at the Game Castle, like last year. Note: A portion of your ticket fee will go towards charity (to be decided) and to prize support. This event is NON-REFUNDABLE due to the deposit required on the location.